As a professional singer, there was something fun and exciting about living from gig to gig when I was in my late teens and ’20s; but as I was nearing my ‘30s and entering my second decade of my performing, I noticed that my enthusiasm for the lifestyle of a professional singer was waning considerably. I still loved singing and performing, but I no longer had the energy for everything else that seemed to go along with a singing career. It was during this period that my voice teacher suggested that I consider teaching singing as a career. I had never even considered the possibility of teaching, but the more I thought about it, the more I warmed to the idea. Having had voice lessons for so many years, and with so many different teachers, I had established some very clear ideas of how I wanted to run my studio, along with very clear ideas of how I did NOT want to run my studio. For instance, I knew that I wanted my lessons to start on time, I wanted my lessons to have a minimum of excess chatter. I knew that I wanted my lessons to be free from distractions such as phone calls and conversations with other people. I knew that I wanted to be a warm, friendly, effective and professional teacher. One thing that had always annoyed me as a vocal student was that when I had a teacher who was also a professional performer, it seemed as though my lessons took a back seat to their career. It was not uncommon for last minute cancellations when my teacher had a gig come up. I knew this was not the kind of teacher I wanted to be, so after a long period of consideration, I decided I needed to choose between performing or teaching, but I wasn’t interested in doing them both simultaneously. Having made the decision to build my studio from scratch and retire from performing, I got a 9 to 5 job as a secretary in order to have a steady income and unchanging work hours. I began teaching in the evenings on on the weekends out of my apartment. During this time I never stopped taking my weekly voice lessons. I built my website back when Internet was just starting to be a marketing tool (my URL is voice-lessons.com, so that tells you how long I’ve been at this). I used to run ads in local papers, music trade magazines and in programs for plays and choirs. I would post fliers each week at places like coffee houses and university bulletin boards. In the beginning I gave a LOT of free lessons in order to be able to practice my teaching and start building my reputation. Slowly over a period of about two years while still working my full-time secretarial job, I was teaching about 20 hours per week (which, along with my teaching, was a 70 to 80 hour work-week for me). Since I was finally teaching fairly steadily by then, I decided it was time to quit my “day job” and completely support myself as a voice teacher. This was a frightening transition for me, but I went full steam ahead. It was about then that I moved my studio from my home into its own building. Since the beginning, I have constantly committed myself to my education. In addition to weekly voice lessons, I went to every workshop and master class I could afford. I would observe my teacher giving lessons each week either live, or listening over the telephone (as we didn’t yet have Skype). Nothing was going to stop me from being the very best voice teacher I could be. Over the next 10 years I built my studio into something I continue to be quite proud of. When I transitioned into my work with the Institute for Vocal Advancement (IVA), I had already been teaching for about 13 years; yet I noticed that with IVA, my teaching took a dramatic turn for the better. The IVA teacher training and pedagogy programs are something the likes of which I have never seen before. Most of the training that I had prior to IVA was piecemeal; yet now so many holes in my education continue to be revealed and remedied. I think something essential which has also enabled me to build my studio as well as I have over the years, is the fact that I am first and foremost a singer. Having had a history of singing professionally for many years, I know what it’s like to train, perform, gig and tour. Singing to me is not something theoretical, it is how I have been living my life for the past 35 years. 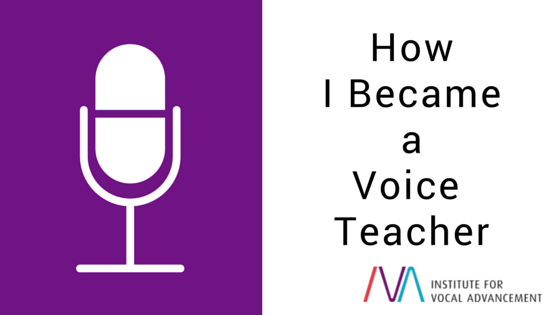 My purpose in sharing my story is to, I hope, illustrate that becoming a voice teacher is a process, not an event. It is a journey that can be both challenging and quite rewarding. Building my studio has not been easy, but it has been exhilarating. 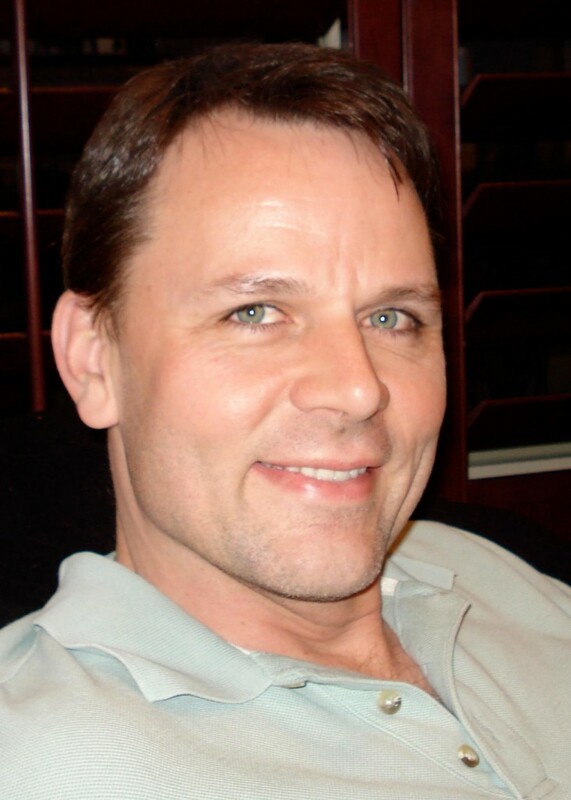 Being a voice teacher has never been a simple “business opportunity” for me–it is my life’s passion. Being a teacher of singing holds a type of satisfaction that goes much deeper than that which I ever knew as a performer. For me, teaching singing is more than a career, it is a calling.